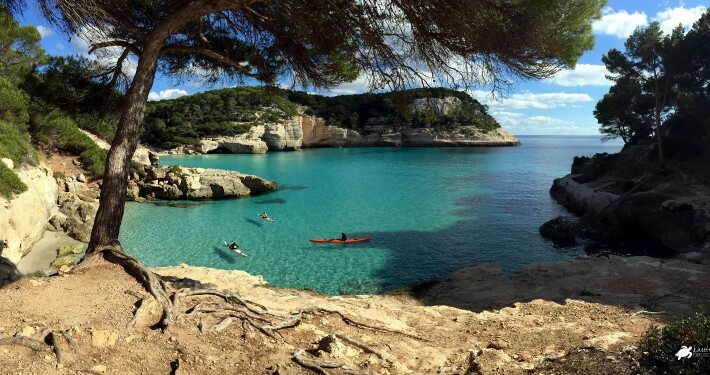 Going on tour around Menorca in a sea kayak is one of the most enriching experiences we can find on the island. Our purpose is to accompany you to acomplish this challenge in the safest and most convenient possible way, offering a high level personalized service. For this reason, we provide you with the companion and knowledge of the most experienced guides, an optimal and light navigation material, plus everything you need so you do not have to worry about anything and live this spectacular journey as comfortable as possible. 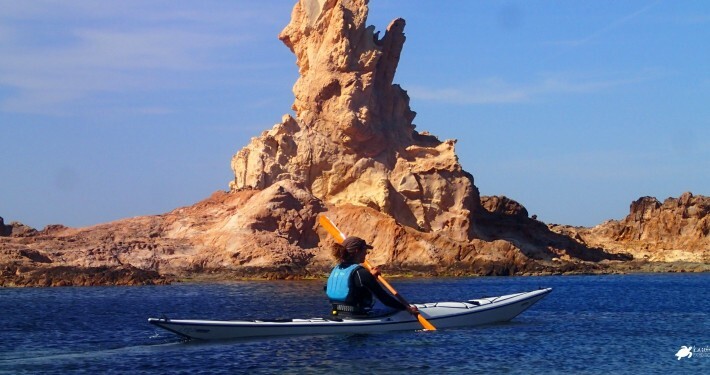 The aim of this route is to tour around the island of Menorca and experience the authentic spirit of exploration on a sea kayak. 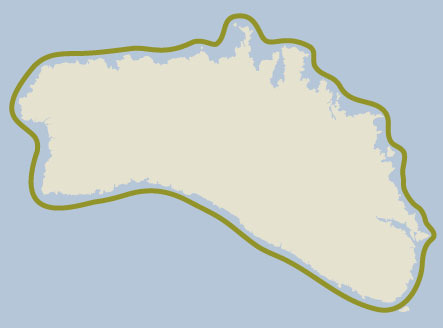 Nura Expedition allows you to discover the 210 km of this spectacular and changing coast. Skirting the beautiful north coast we will reach the marine reserve of the island, to some of its less accessible beaches and the oldest geology of the island. And at the south coast we will navigate along paradisiac coves of turquoise waters and beside stunning white calcareous cliffs that house countless caves. – 5 to 6 hours paddling per day.